The proper optimization of web pages and structured content can make the difference between competitors. Most companies that want to promote their business will want to hold a leading position in the keyword charts required by potential customers. What you should know is that some search engines (eg Google) prevent these things (monopoly a leading position for a particular keyword) by different rules and methods that prevent for a time listing the top spots. Results vary from one search engine to another, each having a separate policy for indexing. SEO corectly done for web pages will guarantee top positioning in search engines and will provide a definite increase in site visitors and consequently in the business sales. To benefit from a website is not enough. It must be SEO optimized to promote your business in a more efficient manner, without additional costs. The websites created by our web design company,Royalty, are professional, high quality and are optimized onpage SEO. Royalty offers free onpage seo optimization services for clients. Website optimization is performed on the source code from the moment of its design. Our company provides an analysis of statistics about the number of keywords and search results for each keyword. After selecting the correct keywordswe will make all necessary steps to optimize your web page for search engines. Our web design company performs SEO optimisation only for sites created by our specialists. This type of optimization covers a series of operations on the source code, graphics and structure of your site and is done for free by our agency. Actions conducted off-site by the customer or by a specialized company. Among the most important actions are: web directories submission, attracting a number of quality links to your website, choosing a proper domain name, age, insert unique information weekly intro your website etc. 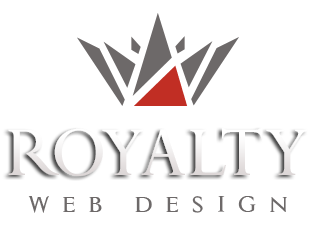 Royalty will be available for free consulting to improve your website page-rank.